It’s reporting season, so now is a good time to be conducting a self-audit of your invoicing practices and the repercussions for contractor visits. GSA has two types of visits: Annual Assessments and End of Term Assessments. Annual Assessments will occur every year for contractors that produce more than $150,000 in sales. End of Term Assessments will occur for all contractors approximately 12 months prior to their contract extension. 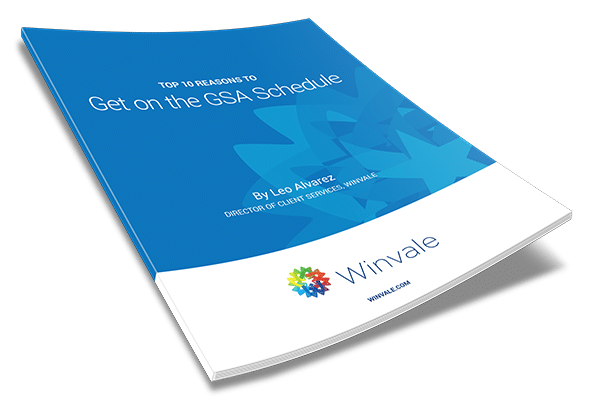 We’re halfway through 2018, and technology remains king over at the General Services Administration (GSA). GSA wants to get state of the art technologies to federal agencies faster, so GSA now allows IT companies with fewer than two years of experience onto IT Schedule 70 through the Startup Springboard program. Government contracting can be hard to get into—there’s so much to learn! However, like any field, you need to nurture it and let your knowledge grow. To help with that process, we’ve gathered some resources to help in three key areas: Instructional, Compliance, and Market Research. So many acronyms, so little time! Early in my government contracting career, I had to learn a new language as new acronyms filled every page I read! To help you better understand the federal government’s world, here are the top 10 need-to-know abbreviations this year: 1. NAICS Code- North American Industry Classification System code. Your NAICS codes help determine if you qualify as a small business. Through the Small Business Act, the Small Business Administration (SBA) established size standards for NAICS codes so businesses can understand their designation and see relevant opportunities for which they qualify. Learn more about NAICS codes and see if you qualify as a small business here.